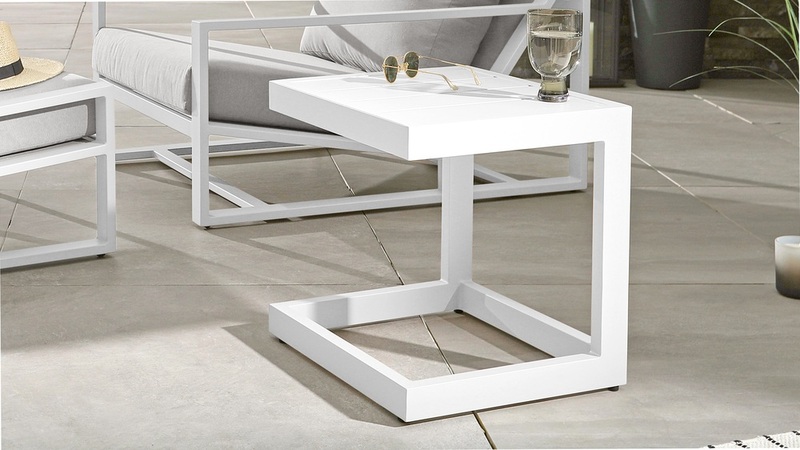 The Lago White Small Garden Table is a sleek side table designed to compliment your garden furniture. 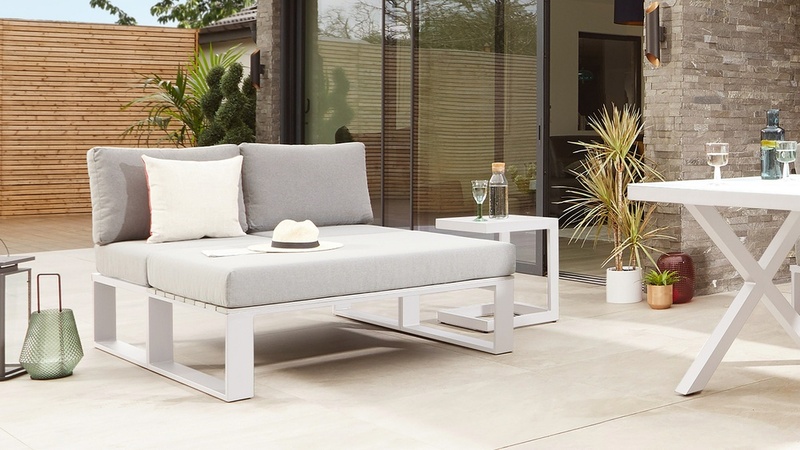 The simple, clean lines and cantilever style mean the table can be coordinated with a variety of garden furniture styles, whether you pull it up next to your sun lounger or alongside your dining bench, you’ll now be able to keep your at arms reach from now on. The Lago garden coffee table is made from an aluminium tube. This keeps the table light enough to lift and move around your garden so you have the most convenient side table available at all times. The Lago side table's crisp, fresh white colour creates an effortlessly modern and matt looking finish. The table is finished in a powder coating which means, if you have any spillages, the table is incredibly easy to clean. Despite this small outdoor table being lightweight it remains incredibly strong and supportive. This means you can use it for cocktails and nibbles, or even a decorative, garden plant. 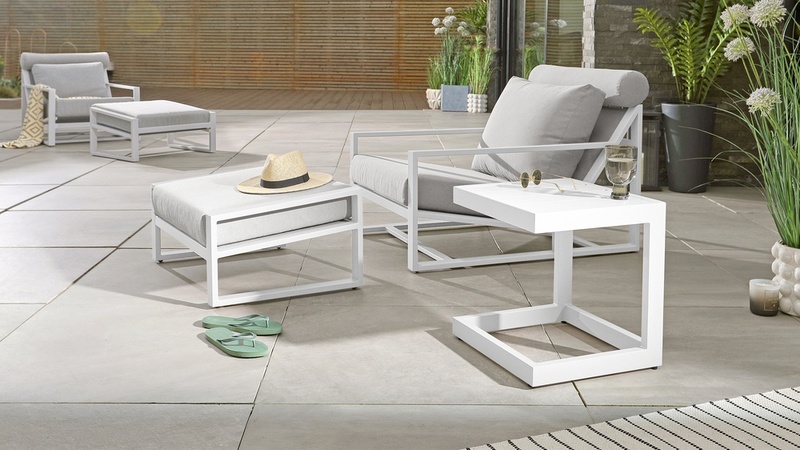 The simple white frame of the Lago Small Garden Table is the perfect addition to a small space patio or balcony. Its small size is practical yet won’t take up too much space. 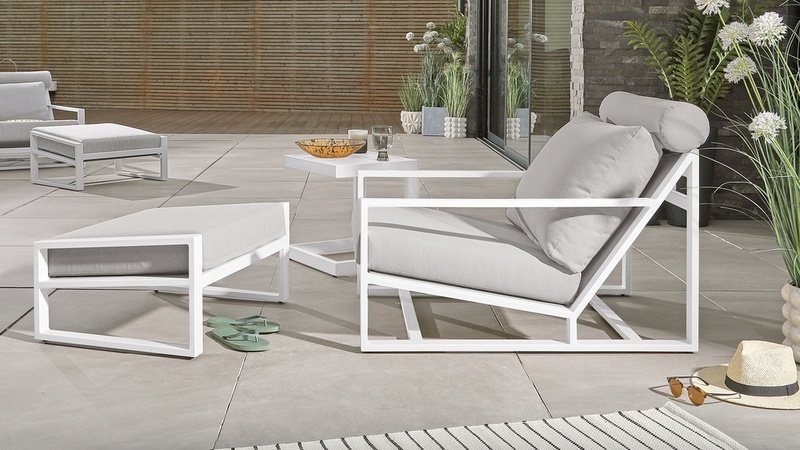 Ergonomically designed, the Lago will look just as good alongside a garden lounger or bench. With its cantilever design you’ll be able to slide it under a low bench to create a handy table top space. 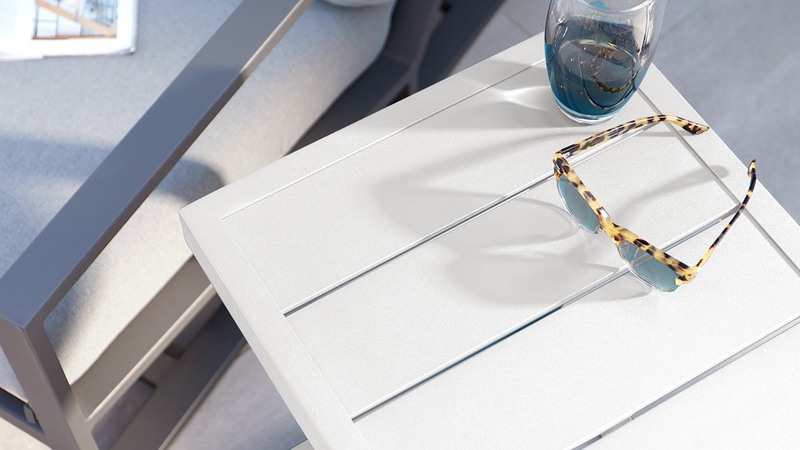 The Lago garden side table is also available in grey if you’re looking for a darker colour.